Simply drill a 2" hole and install the Light, secures from the outside with the screw on silver or back Bezel. Comes in black or silver bezel. Comes with dust boot to keep mud/dirt out of the adjustment screws. 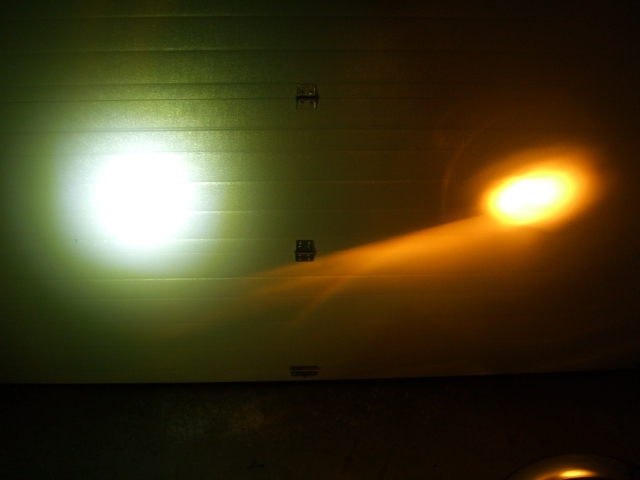 Left light spot is the LED Projector, Right is a standard low and High beam at the same time on a 250 motorcycle. 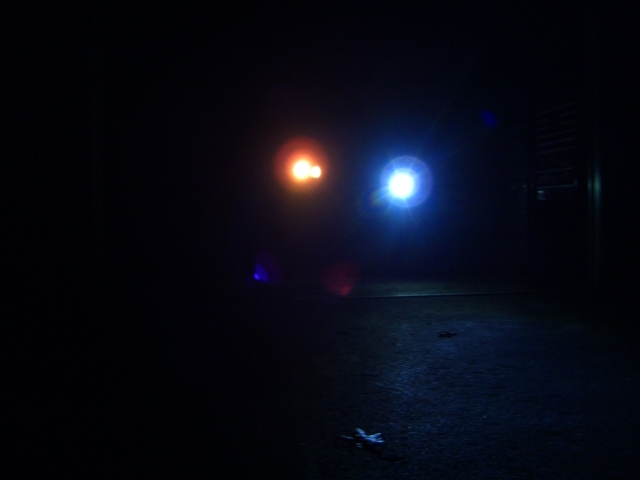 Left is the high and low beam at same time on a 250 bike, right is LED projector light. 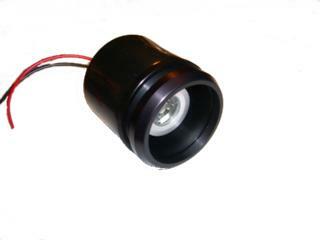 LED Projector light has a bright white Color like 5500 HID with a hint of blue. The LED Projector is not as blue as the picture above! The Light Is very bright, better than most low beams with a wider field of view. Stock high beams have more power in a focused beam pattern. The LED Projector has a wider field of view with a crisp light, not yellow! The LED Projector is not made to replace a high beam light. 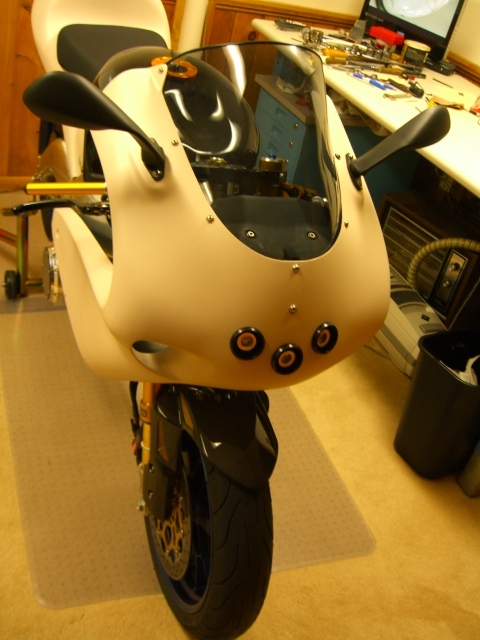 The LED lights are for off road/show use only as they are not DOT legal. > Runs on 12VDC or 12VAC! NOTE: OFF ROAD USE ONLY! 2 - 4 Save $10.00 ea.